Hidden away in a tiny little southern hamlet called Atlanta, Georgia is a small group of people tirelessly plugging away at making something old new and enjoyable again. 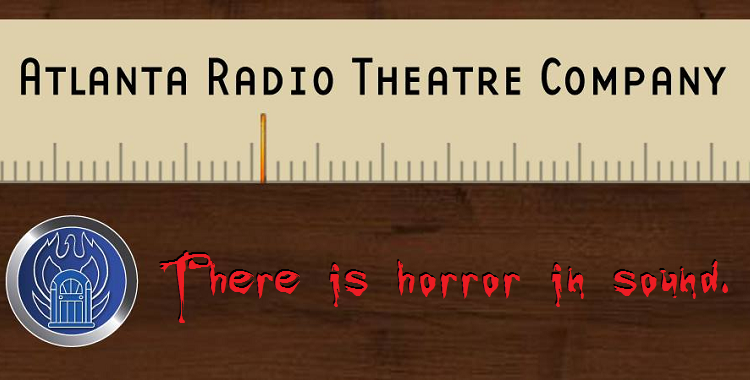 This group, the Atlanta Radio Theatre Company, called ARTC from here on out, specializes in the new old style of radio entertainment, and they like to point out that there is adventure in sound when performing or promoting their stories. But simply saying “adventure” is shortchanging their library a bit. Gifted artists one and all, they are equally adept at performing both adaptations and original works that cover science fiction, fantasy, comedy, historical reenactment drama, Steampunk, romance, noir, horror and any other genre you can think of plus any multi-genre combination you’d care to put together. And while I dearly love all of their works (except the romance stuff that my wife buys from them) and will listen to them whenever the opportunity arises, my job here is to focus on horror, and I can honestly say without fear of contradiction that ARTC does horror amazingly well. As a matter of fact, my first exposure to ARTC was at 2006’s Dragon*Con where they performed an “episode” of their popular science fiction comedy, Rory Rammer, Space Marshal, followed by an adaptation of H.P. Lovecraft’s The Color Out of Space. I liked the Rory Rammer story. I was a little lost going in as I knew nothing of the characters and the pre-existing interactions that they had had, but I laughed where I was supposed to laugh and generally enjoyed it. As an aside, the Rory Rammer series is now a favorite of mine. If they would only do a zombie episode one day, I could finally be a happy man. After Rory Rammer, the music from the stage became a little darker and a little creepier, they launched into the opening moments of their adaptation of The Color Out of Space, and the sounds of the meteor crashing down onto old Nahum Gardner’s land filled the room. The performances were more than convincing and full of emotion, the SFX were deftly handled on the stage in front of a live audience, and the original music used in the performance was perfectly matched to the story. By the time the actor on stage had read his last line, I was hooked on their ability to perform audio horror. I made a quick run to their merchandise table and snatched up CD copies of The Shadow Over Innsmouth and At the Mountains of Madness. Once home and recovered from that year’s Dragon*Con, I put both CDs into the living room stereo and enjoyed what were not just stage performances, but, in the case of Innsmouth, a full studio performance with all the fine tuning and production values that come along with it. Mountains also contained a bonus original story, Hour of the Wolf: An adventure with Dr Geoffry Stanhope, Investigator of Occult Phenomena, that was a short, pleasantly comedic piece dealing with werewolves. By the year’s end, I had acquired a few more CDs by being annoyingly vocal about what I wanted for Christmas that year, and I had also discovered two rather wonderful bits of information. Pay attention. You’ll like this bit. ARTC had a streaming podcast site. They were also on iTunes with both studio works and podcasts. What were the various costs of the content on their podcast site or the podcasts on iTunes? Absolutely nothing. That’s right, you can listen to numerous stories, both long and short, from live performances on your laptop, iPod or other mobile device for free. The studio stuff is going to cost you, but the prices are more than reasonable. And the range of free material they offer covers just about every genre that you might want to listen to. But what you and I want to focus on here is their horror output, and they do some very good horror. Here are a few quick highlights. They do a fair amount of H.P. Lovecraft, and they do it very well. 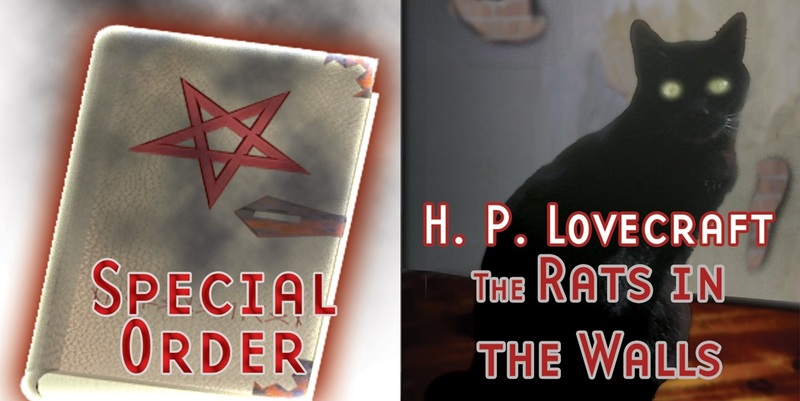 Lovecraft is an annoyingly easy storyteller to mess up when doing adaptations since the style in which he wrote his dark tales was often more of a narrative about the feelings and sensations of the storyteller within the story than standard descriptions of actions and activities. Sometimes it seemed like he would write about nothing at all actually happening and the nothing in question would still take up to a page and a half of internal dialogue to describe. Well, they’ve managed to get the essence of Lovecraft right, and their takes on his stories are every bit as enjoyable as his actual writings. 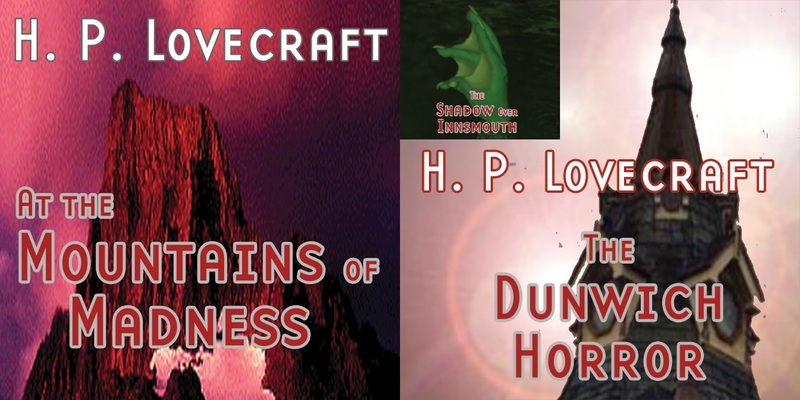 At this time, you can only find At the Mountains of Madness, The Dunwich Horror, and The Rats in the Walls as either CDs in their webstore or as digital downloads, but they have a nice selection of Lovecraft in their podcasts as well. The Color Out of Space, The Call of Cthulhu, and The Shadow Over Innsmouth are each represented there with The Color Out of Space being the actual Dragon*Con performance I first heard. One of their podcasts is an original story written to feel like a Lovecraftian tale if H.P. had set his stories in the southern setting of old Atlanta. 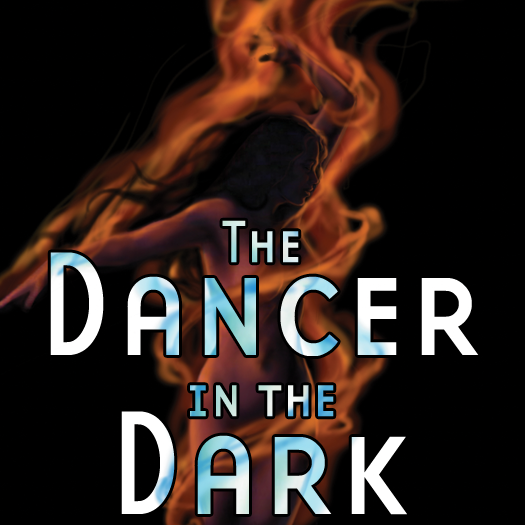 The result, The Dancer in the Dark, is a beautifully crafted tale that feels like it should have been one of Lovecraft’s works. It has the same kind of vibe that one would expect from Lovecraft, but it also manages to successfully inject small moments of humor throughout the story. The podcast of the live performance of The Dancer in the Dark is so well done that I will, without hesitation, tell people that it is my favorite of their works, and I often recommend it to others, particularly the horror fans, as a first sampling choice. They’ve also just released an extended studio version of the story on 3 CDs that creeps its way a little deeper into having a Lovecraftian vibe to it. If you like the podcast version, it is also well worth checking out. In the studio CD offering Special Order, they tell the tale of what might happen if a bookseller were to be asked to track down a copy of the Necronomicon and just how dangerously wrong everything can go if the bookseller decides that he wants the fabled book for himself. 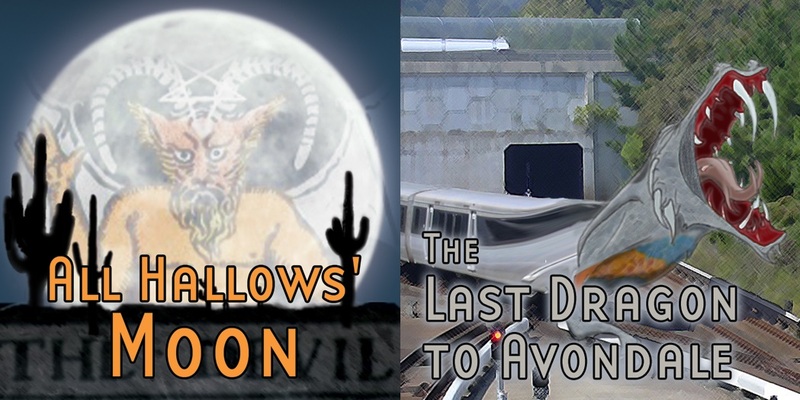 In The Last Dragon to Avondale, found as both a studio performance and a podcast, a young woman alone in the MARTA station late one night discovers that dragons may not just be a thing of ancient myths and legends, and learns the dangers in delving into some mysteries a little too deeply. The studio performance All Hollow’s Moon tells the story of a group of people waiting the night out in an Old West saloon when a storm brings the unexpected arrival of a girl who might or might not be from Boston, a gun fighter who might or might not be dead, and a gambler who might or might not be the Devil. The podcast Can You Hear Me? gives us the tale of a woman who discovers that the faint voices we sometimes hear on the phone, and listening to them, just might be more dangerous than she otherwise believed. In the podcast ARTC Show 10 Post Halloween Extravaganza, two research librarians find a book written by an ineptly bad writer and enjoy a laugh at her expense. Then they discover that the book is haunted by the writer’s twisted spirit and read on in terror as the book’s new storyline is about them and the terrible and inescapable fate that awaits them. For all of you horror/comedy fans out there, their free podcasts offer Horror at Camp Healthy Springs, a nice parody of the slasher concept, and a hilarious send up of reality show ghost hunting with Haunter Hunters. 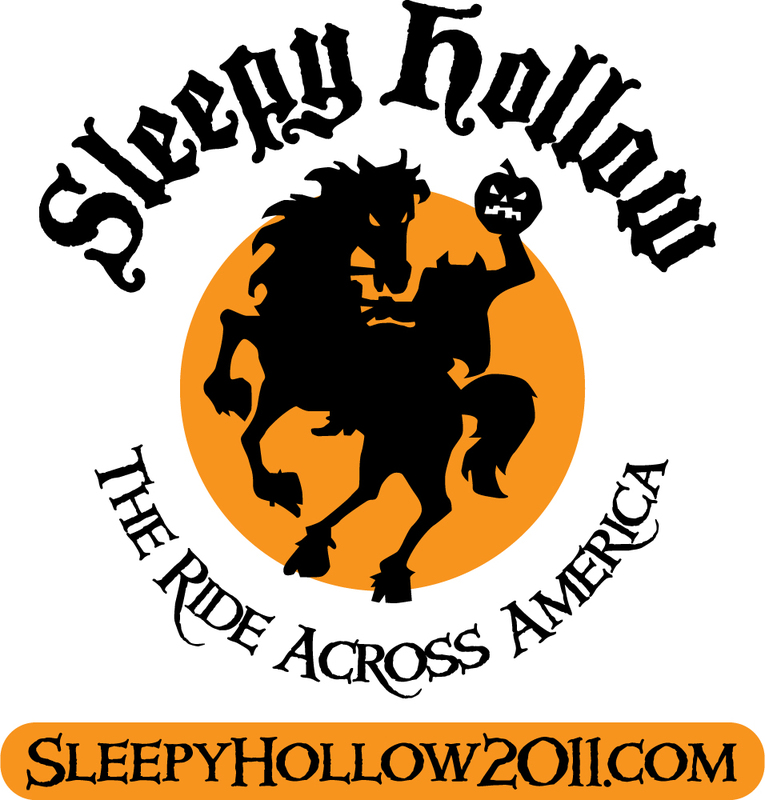 If you’d like a taste of what modern radio horror is like across the country, ARTC sells an MP3 CD, Sleepy Hollow: The Ride Across America, with almost 4 hours of takes on the Sleepy Hallow legend featuring content from the Post-Meridian Radio Players, the Atlanta Radio Theatre Company, the Ancient Radio Players, and the Seattle Radio Theater. All of that is just the tip of the iceberg. And, again, a lot of that iceberg is free. ARTC’s horror offerings are truly top notch stuff, and the horror that they excel in is one of the best and most intimate kinds of horror. They use words and sounds to reach into your mind and paint pictures that no filmmaker could ever match. Their old standalone podcasting page has now been done away with, and they now have a podcasting page incorporated into their newly revamped main website. That website can be found here. They can also be found and followed on social media like Facebook and Twitter as well as at their YouTube page. Their free podcasts can also be found on iTunes. Check them out. Give their podcasts a listen. Enjoy the horror (and everything else) that they have to offer. It won’t cost you a thing to just give them a try, and even if they hook you, the digital downloads and CDs are all, as noted above, more than reasonably priced. This post brought to you by Jerry Chandler. got a nerdy mind? Write about it! Take a look around to find out what we’re about, and get in touch! Keep up with Nerdy Minds by following @NerdyMindsMag on Twitter and liking Nerdy Minds Magazine on Facebook.